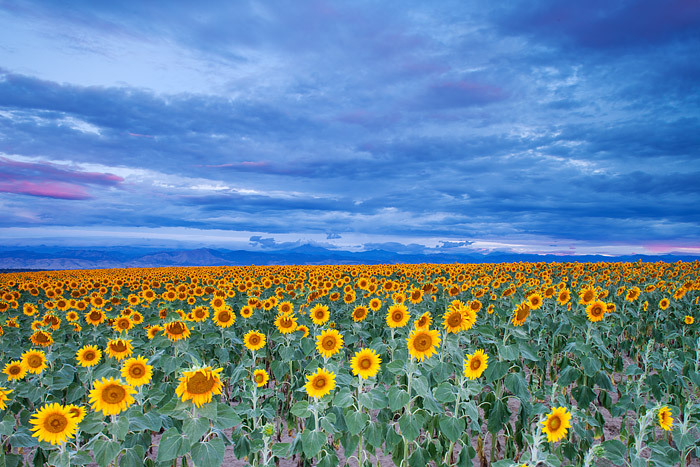 A large field of Sunflowers near Longmont, Colorado gets ready to greet another sunrise. The sky and clouds are just starting to pick up the redish hue of the sun pushing over the eastern horizon. Shortly, the sun will light up the east face of Colorado's Front Range. Photo © copyright by Thomas Mangan.